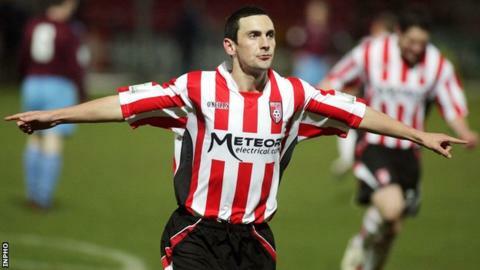 Derry City U17’s face Sligo Rovers U17 tomorrow night in the Mark Farren Cup semi-final. Gary Duffy’s young chargers face Rovers at Maginn Park (KO 6.30pm) after seeing off Dundalk in the quarter-finals stages. Goals from Jack Malone, Caolan McLaughlin (2), Kian McGarvey and Mikey Sweeney sealed the win over the Oriel Park teenagers. City fans are urged to attend tomorrow evening’s semi-final tie in Buncrana to give their support and help the young side book their place in the final, where they will meet either Waterford U17 or Shamrock Rovers U17’s.